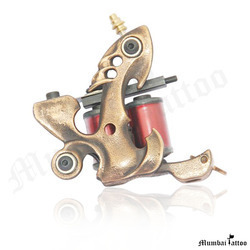 - Machines are amazingly stable with low noise, perfect for both professional tattoo artists and beginners. - Elegant design, versatile in adjustments, raw brass frame. - Liner fitted with very high resolution 10 RAP coils, where as Shader with 12 RAP. - Each machine is individually numbered and comes with a Certificate of Authenticity. IR coil winding machines are used in various industries to wind various kinds of coils. Motor: 1/2 H.P.I. Phase 1400 r.p.m. This equipment is mainly applied for USB3.1, Type-C ( Coaxial structure series) coaxial core spiral winding and taping process, mainly completely core wire back-twisting, horizontal high speed spiral winding, horizontal micro-fine double layer taping and tape heating by one time. - Fabricated table stand for the above models. - Jar type carriers for wire gauges above 40 swg. & upto 52 swg. - Pre. Set electronic LED revolution counter. - Electro magnetic brake with rectifier for instant stopping. 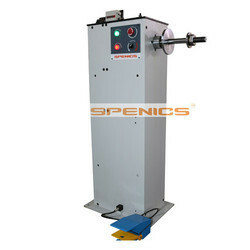 - 18 Coils winding machine with manually operated paper cutting arrangement (for Ignition coils).